Affordable dedicated servers do exist! We found a few of them. The crème de la crème when it comes to web hosting is dedicated hosting where you have an entire server dedicated to your needs. Generally speaking, dedicated servers are not exactly affordable – after all, you get a whole machine with tons of bandwidth, storage space and computing power. However, recent industry trends – recycling old servers, competition with hyperscale cloud service providers and extra data center capacity – mean that prices have tumbled down to the extent that some of the dedicated server deals listed here are as cheap as the average VPS (Virtual Private Server). We’ve listed the best cheap dedicated server deals on the market with something for everyone right here. If you’ve found a better deal which is worthy of inclusion, please do get in touch with us (send a mail to: desire.athow@futurenet.com). 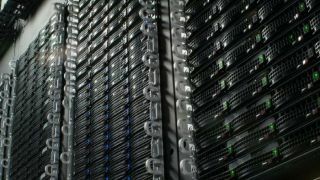 HostNoc is based in Canada and has delivered a whoppingly good dedicated server deal exclusive to TechRadar. For $69.95 per month (pay for a year and get two months free), you get a cracking little server that can easily handle a medium-sized server. So you get two Intel Xeon E5-2670 2.60 GHZ Octa Core processors. That's 16 cores in all (or 32 threads in geek speak). This Sandy Bridge EP part was launched seven years ago so is obsolete; however with 20MB cache each and a Passmark rating of 12,135, it is still a very capable component. You also get 48GB of RAM, a 240GB system SSD with a pair of 1TB SATA drives (which can be RAIDed), a 1Gb port and 20TB bandwidth. HostNoc also provides with daily backups, free white-glove migrations plus 24/7 live support with a promised get-back-response period of 30 minutes. The choice of free OS is limited to CentOS and Ubuntu while Windows Server offered include 2012 and 2016 but no 2019. Ionos (ex-1&1) offers one of the most affordable 8-core dedicated servers out there. Now, there are cheaper (much cheaper) options around, but they are likely to have corners cut and significantly older or slower hardware. However, this definitely isn’t the case with the XXL-96: for $180 per month (or $0.25 per hour), the system packs a brand new Intel Xeon Silver 4123 CPU, a processor that was launched in 2018 and comes with eight 3GHz cores and a whopping 11MB cache. It is backed by 96GB (yes, 96GB) of DDR4 ECC system memory plus two 4GB 7200RPM SATA drives in RAID-1 configuration (hardware, not software). NVMe solid-state drives are available, but at a premium for a quarter of the storage, and backup is optional. There’s no bandwidth constraint thanks to a 1Gbps port, no setup fees, a 480-second setup time, and no minimum contract period (and no introductory price gimmick). You can choose from a wide range of open source (and closed source) operating systems including Arch Linux and Core OS, plus Ionos offers “unlimited” email accounts with 2GB storage for each mailbox. That’s a somewhat odd feature given the ubiquity of Gmail and Outlook, but nevertheless it’s a welcome perk. Simply Hosting is part of the Dada group, one of the biggest web hosting providers in Europe. This web hosting brand is based in the UK, and has managed to pull off some of the cheapest dedicated server prices in the world, without any setup fees, and with some impressive backend infrastructure to back up its offers. For example, all the servers on offer include 10Gbps redundant rack uplinks, VLAN and redundant network to server, 100% power and five-nines network SLA, a 10-minute ticket response time and 24/7/365 online support, with no setup fees as mentioned. The company’s cheapest offer is the SFO2.6 which costs £7.50 (about $10) for the first six months and £30 (about $40) afterwards, or £225 (about $300) for the first year or £18.75 (about $25) per month – and it doesn’t skimp on the hardware. You get a 4-core Skylake Xeon CPU clocked at 3GHz (Intel Xeon E3-1220 v6 with a PassMark CPU rating of 7,843 points) housed in a Dell PowerEdge T130. That’s supported by 4GB of RAM, a 1TB hard disk drive (no RAID here sadly) plus 10TB bandwidth and a choice of five operating systems (Ubuntu, CentOS, Debian, OpenSUSE and Windows). Headquartered in Scotland, Iomart owns Easyspace, a web hosting company that manages to sell one of the cheapest dedicated servers in the world at just under $33 when you buy for a whole year. There’s no gimmick (like tripling the price at the end of the first year) and the servers will be hosted in one of the 10 UK-based data centers owned and managed by Easyspace. You get unlimited bandwidth via a dedicated 1Gbps port, 4GB of RAM, 100% network uptime, SMS monitoring alerts, two 7200RPM 2TB hard disk drives (or alternatively two 128GB SSDs) and a wide variety of operating systems to choose from. You can even install FreeNAS or your own OS for free. There’s no server backup, though, and no free soft RAID option (despite the plan having two disks by default). We don’t know what the CPU is, either, except that it’s a dual-core processor clocked at 2.2GHz – meaning that if it’s an Intel CPU, this chip could potentially be up to 12-years-old. At least we’re 100% sure that it isn’t an Atom processor. Hostwinds is a well-known player when it comes to dedicated servers and its E3-1270 v2 Dedicated Server will turn some heads. Its cheapest dedicated server offer comes in at $79.50 per month for the duration of your first contract (which can be as short as 1-month or as long as 3-years) and will renew at the normal price of $106 per month. That means you have to fork out the entire sum (nearly $3,000) at the very beginning, which can be a hard pill to swallow for a small company. The entry-level SKU comes with a 7-year-old Ivy Bridge Xeon CPU clocked at 3.5GHz – so yes, it’s old, but still capable of achieving a PassMark score of nearly 9,500 points. This comes with 8GB of RAM, either a 1TB hard disk drive (add hardware RAID plus an extra 1TB HDD for a tenner per month) or a 120GB SSD, eight IP addresses (five usable), 10TB bandwidth and a choice of operating systems. As with most of the competition, you get a five-nines network SLA, 1GBps ports by default, nightly backups, 24/7/365 monitoring and full server management.